Martha Dodson May (1841-1920) was born in McDonald County, Missouri and crossed the Oregon Trail with her family at the age of 11. 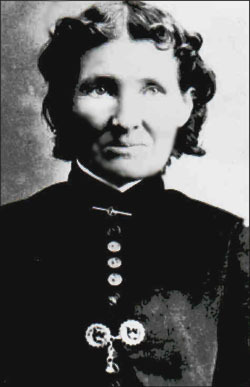 She married Thomas Madison May in Douglas County, Oregon in 1860, and they moved to Columbia County, Washington where they raised a family of eight children. She died there at the age of 78. She was a dear little woman, part French, and always wore her hair in small curls. She was so kind and good to me. I loved her very much.